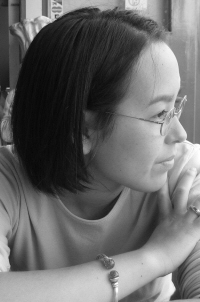 Gollancz Acquires Two New Aliette de Bodard Novels! | Zeno Agency Ltd.
Gollancz Acquires Two New Aliette de Bodard Novels! Gollancz have acquired UK and Commonwealth rights to two new novels by multi-award-winning author Aliette de Bodard! The deal was negotiated by Gollancz Publisher Gillian Redfearn, and encompasses HOUSE OF SHATTERED WINGS and an as-yet-untitled sequel, both set in Paris in the aftermath of the Great Magicians War. In HOUSE OF SHATTERED WINGS, Paris’s streets are lined with haunted ruins, Notre-Dame is a burnt-out shell and the Seine runs black with ashes and rubble. De Bodard’s rich storytelling brings three different voices together: a naive but powerful Fallen angel, an alchemist with a self-destructive addition, and a young man wielding spells from the Far East. HOUSE OF SHATTERED WINGS is due to be published in hardback and eBook on the 20th August, 2015. Aliette de Bodard is the winner of two Nebula Awards, a Locus Award and a BSFA Award — and has been nominated for many others, for her short and long fiction, often multiple years in a row. A writer by night, by day she is a qualified engineer, specialising in applied mathematics. Her most recent novels were the Obsidian & Blood trilogy, published by Angry Robot Books. previous: Brandon Sanderson’s MITOSIS Out Today in the UK! next: Tanya Huff’s THE FUTURE FALLS Out Today in the UK!